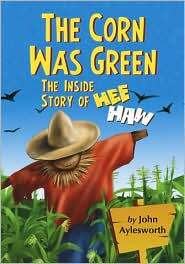 The late John Aylesworth was one of the co-creators of Hee Haw, and in his recently published memoir, The Corn Was Green: The Inside Story of Hee Haw, he talks about "The Great CBS Country Massacre." 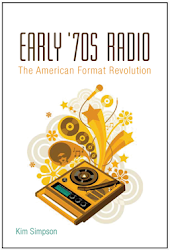 This refers to CBS's 1971 efforts to "de-ruralize" its programming by axing Hee Haw, The Beverly Hillbillies, Mayberry RFD, Green Acres, and The Jim Nabors Hour (the only rural-ish survivor being The Glen Campbell Goodtime Hour). For CBS, this decision was more conceptual than it was numbers-oriented, with a new show called All in the Family representing the direction the network had in mind. Because Hee Haw was going great guns in its brazenly cornball way, the decision came as a shock, especially to Aylesworth and his creative partner Frank Peppiatt ("They couldn't kill us with a stick, so they killed us with a pencil," said Peppiatt). Hee Haw's misfortune, of course, turned into a blessing as it followed the example of The Lawrence Welk Show by reviving itself through syndication, and the show became an American TV institution, running all the way into the early '90s. CBS's "de-ruralization," it turns out, contributed to a multi-decade ruralization trend (Bruce J. Schulman called it "the reddening of America"). Probably the most appropriate account of the entire situation came from Hee Haw co-host Roy Clark, whose "The Lawrence Welk-Hee Haw Counter-Revolution Polka" reached #9 on the Billboard country singles chart in 1972. 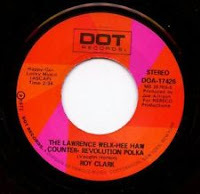 Roy Clark - "The Lawrence Welk-Hee Haw Counter-Revolution Polka" (Billboard #9, 1972). Written by Vaughn Horton. Produced by Joe Allison. 45: ""The Lawrence Welk-Hee Haw Counter Revolution Polka"/"When the Wind Blows" (ABC Dot 1972). LP: Roy Clark's Greatest Hits Vol. 1 (ABC Dot 1975).